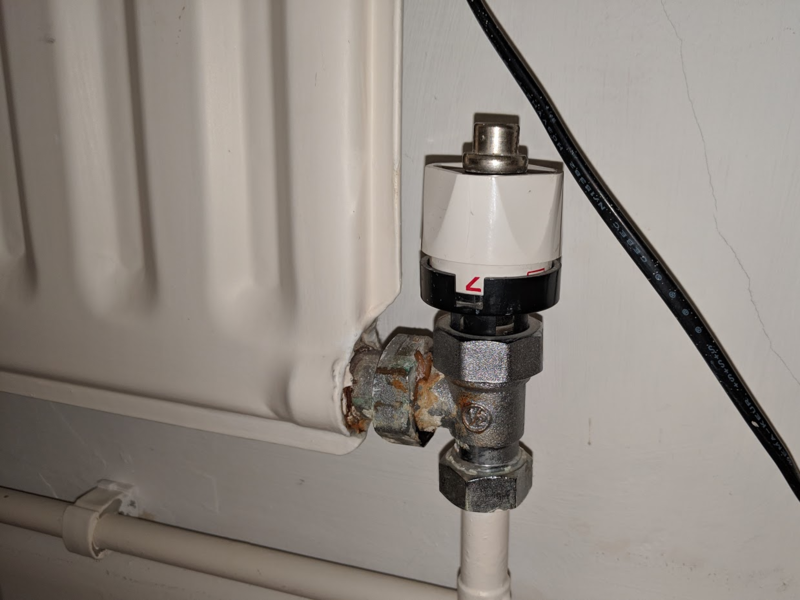 How do I remove the head from this Giacomini TRV? 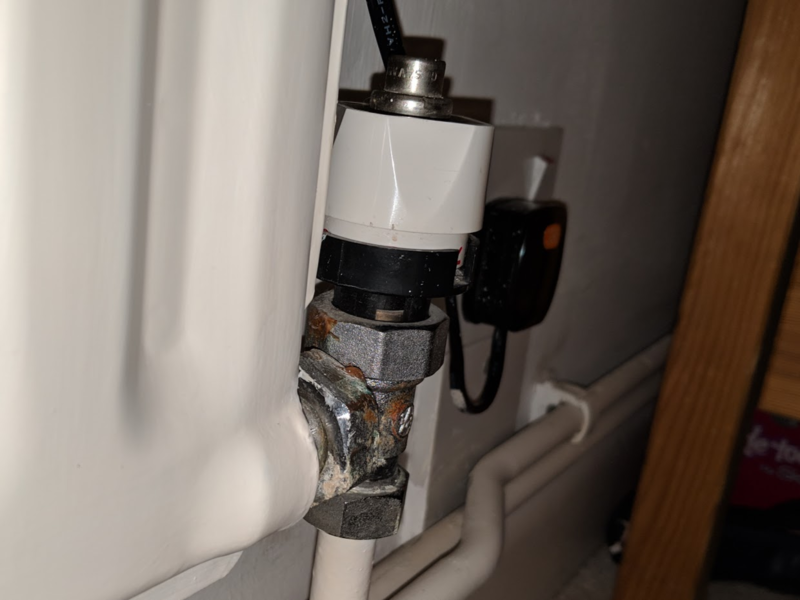 I'm unsure of how to remove the head of this old TRV. It looks like part of it has been removed already. I haven't tried removing or unscrewing anything yet. It appears to me that the power head is held on to the valve body by the union nut just beneath the head. Water pump pliers should be able to loosen that nut. Be sure to use back pressure. To loosen turn CCW. Good Luck. It best to open the valve fully before undoing the union below the actuator. This is a thermostatic valve and upon reaching temperature pressure is applied downward to the valve concealed in the 90° fitting. It will be easier if the radiator set point is set high, allowed to warm and then just before removal set to the lowest setting. You can often undo the union by hand by using this method. Not the answer you're looking for? Browse other questions tagged plumbing heating or ask your own question. 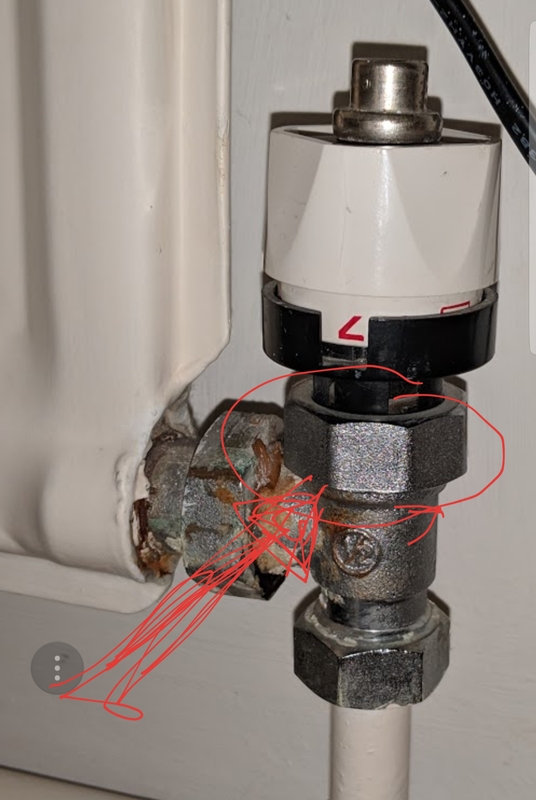 What do you call this old pipe to bath tap join and how do I remove it? 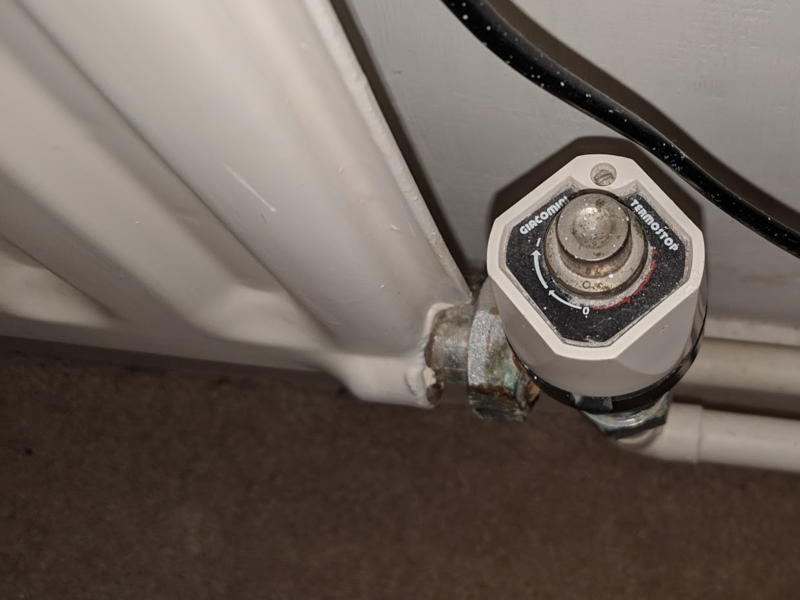 How can I remove this valve? How can I remove this old tub drain stopper? How to remove turn-style tub overflow cover?